Financial services provider, State Street Corp, has appointed former Citi Executive, Kevin Wong, as its Head of Sector Solutions for APAC region, replacing Chris Taylor who is being promoted internally. 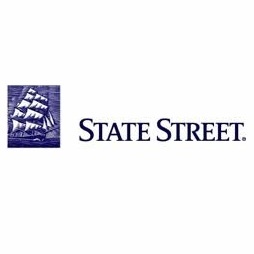 State Street Corp is a US-based financial services company that specializes in a variety of asset classes, including Forex. The company recently reached a $60 million settlement following a shareholder lawsuit earlier this month, which alleged the firm had overcharged its clients for Forex-related services. Mr. Wong joins State Street Corp, having come over from Citibank, where he served as the managing head for securities and fund services for China. In his new role he will be replacing Chris Taylor and will be responsible for Sector Solutions in Asia. Additionally, Mr. Wong will be based out of Hong Kong and will report to Wai-Kwong Seck, State Streets’ Pacific Head. Alternatively, Chris Taylor will stay with State Street following his promotion to Head of Global Services and Global Markets Business in Australia. Mr. Taylor joined State Street and only recently was promoted to Head of Sector Solutions back in May this year, having been with the company since 1989.